A busy vets require an RVN to join an existing friendly team. The position can be either full or part-time and will be based at the hospital in West Yorkshire. Busy vets require an experienced RVN to manage, along with the senior vet, the small, friendly team at a busy branch surgery in Paddock, Huddersfield. We are looking for a passionate vet with good communication skills, who will actively promote services to join a friendly practice in West Yorkshire. A fantastic opportunity has arisen for a nurse to join a busy Practice in Bradford. This position has a rota of 19 hours. A fantastic opportunity has arisen for a nurse to join a busy Practice in Bradford. You will work alongside a great team of vets and nurses who pride themselves on giving the best care to the clients and their pets. An opportunity has arisen for a Night Vet to join a busy 24 hour Hospital in Yorkshire. The Hospital is fully equipped and delivers a high level of care to patients and clients. We have a great opportunity for an experienced Senior Veterinary Nurse to join a friendly practice in Wetherby. You will participate in a variety of roles in both front and back of house (including running nursing clinics) and will be working as part of a close-knit, caring team. The ideal candidate will have good communication skills and be a good team player. We have a new opportunity for a Deputy Head Veterinary Nurse to join a friendly practice in Leeds. The position is full time (40 hours). You will work alongside a dedicated team of vets, nurses and receptionists that provide high quality care to all pets. The ideal candidate will have good communication skills and high levels of customer service and patient care and will be able to manage a team. We have a new opportunity for a Veterinary Nurse to join a friendly practice in Leeds. The ideal candidate will have good communication skills and high levels of customer service and patient care. We have a new opportunity for an Vet to join a friendly practice in Leeds. The position is full time (39 hours). You will work alongside an enthusiastic team of vets, nurses that provide high quality care to all pets. The ideal candidate will have good communication skills and high levels of customer and patient care to the pets that come into the practice. We have a great opportunity for an dedicated vet to join a friendly practice in Leeds. You will work alongside an enthusiastic team of vets, nurses in a well equipped practice that provides high quality care to all pets. The ideal candidate will have good communication skills and high levels of customer and patient care are paramount. We have a great opportunity for an enthusiastic nurse to join a friendly practice in Wakefield. We have a great opportunity for a dedicated Vet to join a friendly practice in Wakefield. You will work alongside an enthusiastic team of vets, nurses in a well equipped practice. We have a great opportunity for an enthusiastic Small Animal vet to join a friendly practice based in Bradford. You will join a dedicated team of vets and nurses who are looking for someone to help continue the growing success of the well equipped practice. We have a great opportunity for an experienced Veterinary Surgeon to join a friendly team at a busy 24/7 Tier 3 hospital in Halifax. This position is part time. It offers a competitive salary, 5 weeks holiday and other great benefits. We have an exciting opportunity for a dedicated Veterinary Surgeon to join a friendly practice in the area of West Yorkshire. We have an exciting opportunity for a passionate vet with good communication skills, who will actively promote services to work in a busy vets based in the West Yorkshire area. 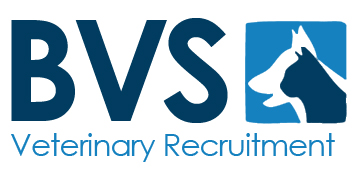 We have a great opportunity for an RVN based in West Yorkshire. You will join existing friendly team of vets and nurses at a busy practice. The position can be either full or part-time and will be based at our hospital.  A 4-site small animal practice in West Yorkshire are looking for a new vet to join their growing team. The main site is equipped with modern equipment including Digital x-rays, ultrasound, rigid endoscope, vetscan and in-house bloods. The chosen applicant will have a minimum of 1 years’ experience joining a large, supportive team of 10 Vets with the help of 16 Nurses. 40 hour working week with no overnight OOH’s and approximately 1:7/8 Saturday mornings. 25 days plus Bank Holidays (if on call then receive day in lieu). A full-time or part-time RVN is needed to join a new and dynamic nursing team at a friendly, purpose-built RCVS accredited SA Practice in West Yorkshire. They are looking for a confident nurse who will provide an exceptional level of customer service to the clients. It is a great opportunity to develop all round nursing skills and progress in your career. The role includes: routine, diabetic, geriatric, weight, dental clinics and receptionist duties. Great salary on offer with a company pension scheme, SAYE and bonus scheme. No OOH, 1:2 Saturday mornings. CPD is encouraged. A well-regarded 6-site practice, with a main hospital at the centre, require an enthusiastic registered veterinary nurse to join our team in West Yorkshire. Working roughly one night a week plus some weekend OOH work around 1 day a month. This is a great opportunity to develop core nursing skills in a fun-loving and busy environment. Our client – a highly-regarded practice based in West Yorkshire – is recruiting for 2 new vets to join their progressive team in providing a high standard of veterinary care for patients and excellent customer service for clients. The position will be based at their branch practices so applicants must be happy working sole charge, performing routine surgery. They are interested in full and part-time applications: full-time role consists of a 40 hour week, shifts between 8:30am to 6:00pm with weekends and on call on a 1:7 rota. Part-time hours are flexible and to be discussed at interview. Great remuneration package on offer including: competitive salary, RCVS & VDS paid with a CPD allowance of £1000 and 3 days per year. Accommodation is also available initially until you find your own in area.